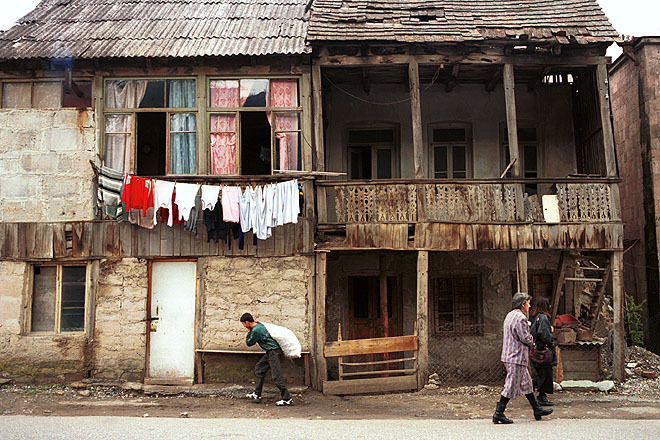 Haghartzin, a small town north of Dilijan in northeastern Armenia. 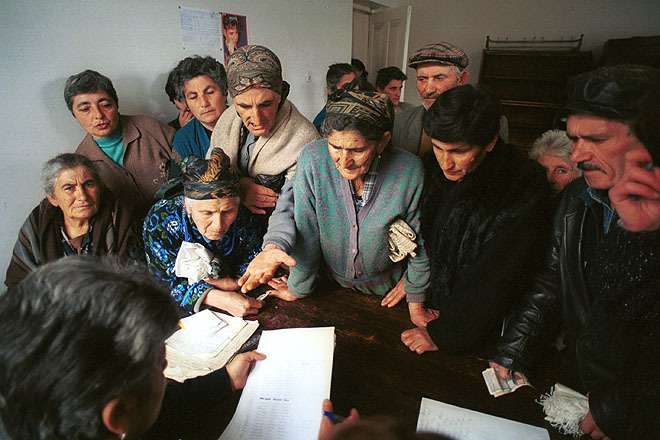 Villagers crowd into the administrator office in Haghartzin, a small town in northeastern to make sure they are on the distribution list for ACT emergency food relief. 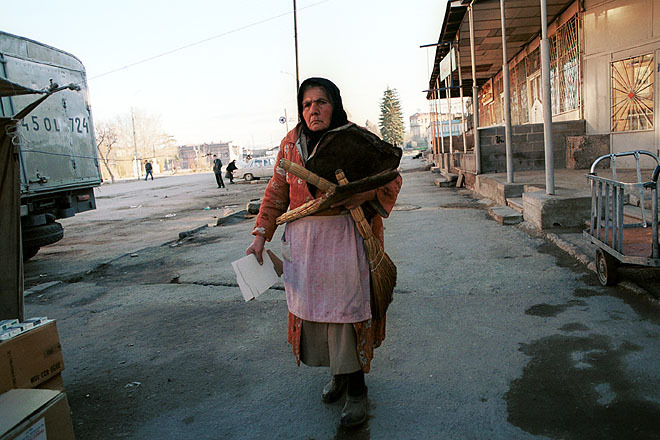 Reconstruction after the 1988 earthquake is only progressing slowly. 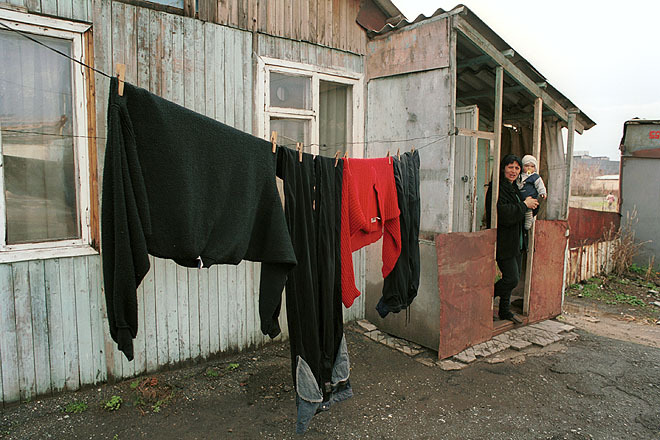 Thousands of families still live in temporary housing. 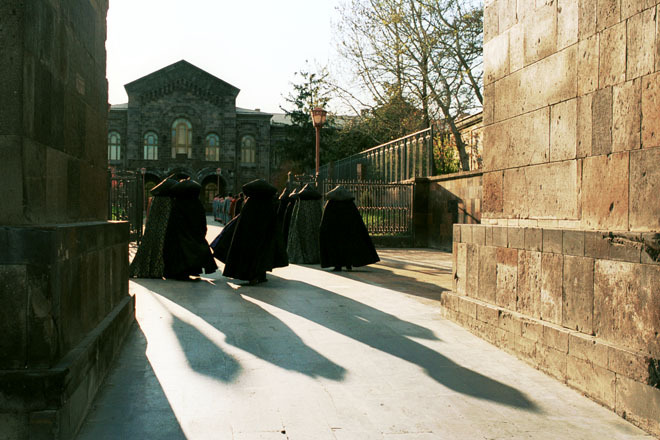 In the background a former hotel where the walls fell out still stand, but the structure is too unsafe to be used. 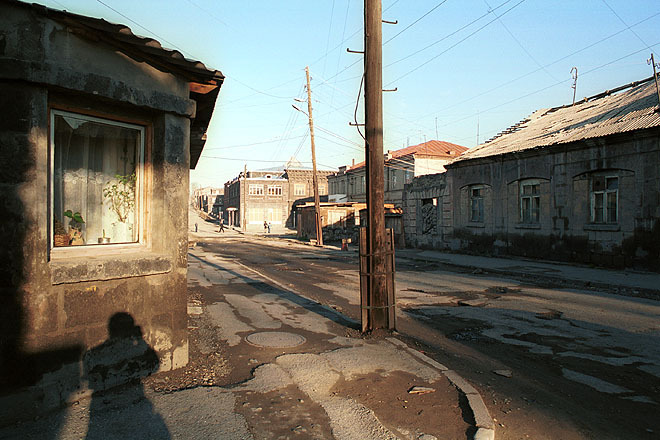 Reconstruction after the 1988 earthquake is only progressing slowly. 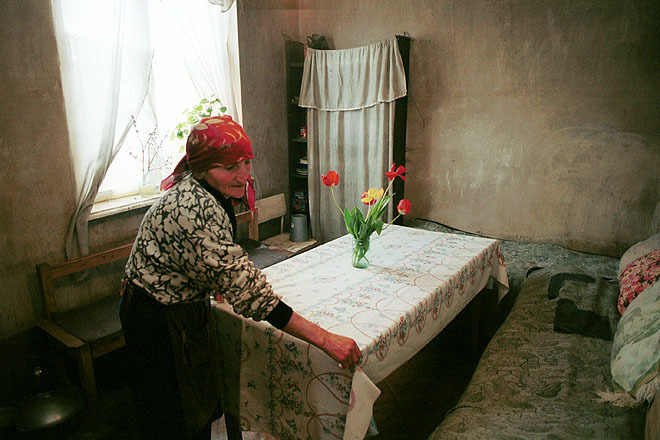 Thousands of families still live in temporary housing. 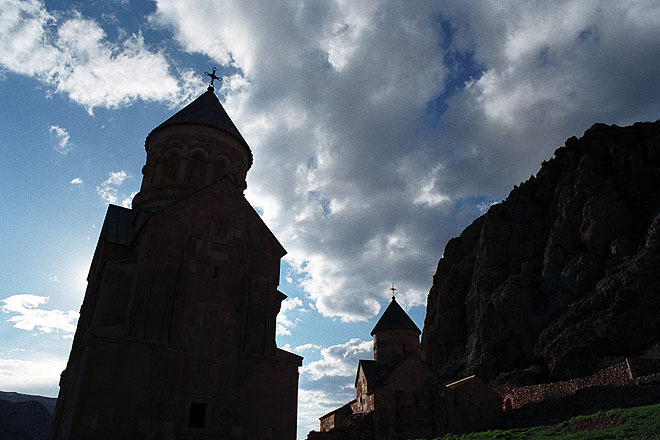 Yeghadjour,a small village in the northwestern corner of Armenia. 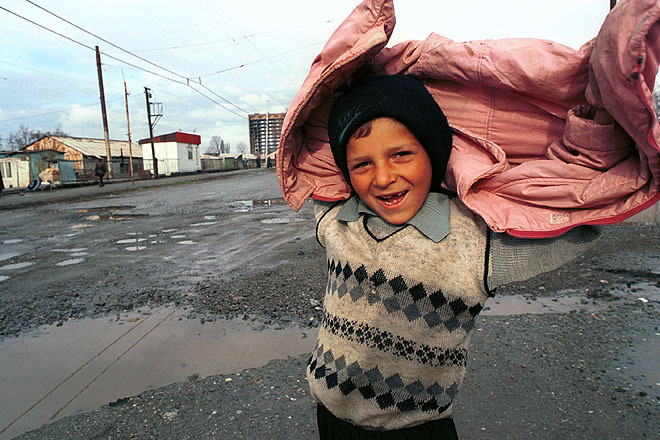 WCC Round-table has assisted families to settle in this remote part of Armenia. 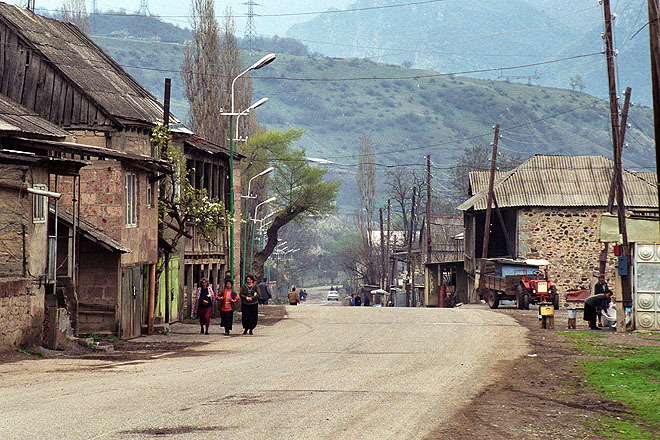 Yeghadjour, a small village in the northwestern corner of Armenia. 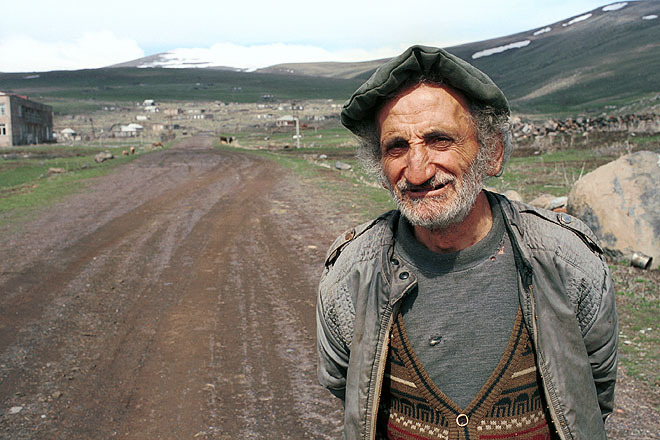 World Council of Churches' Round-table has assisted families to settle in this remote part of Armenia. 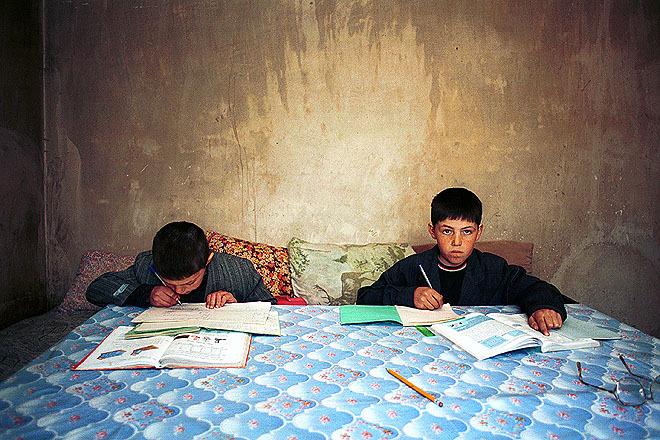 As the winter is long, cold private homes are often used as classroom for the few students in the village. 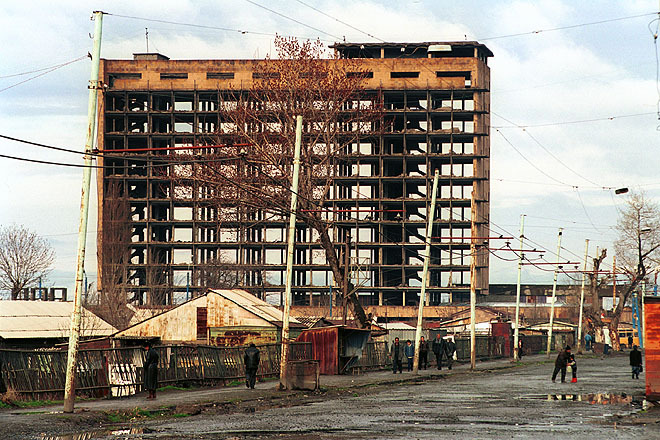 Reconstruction after the 1988 earthquake is only progressing slowly. 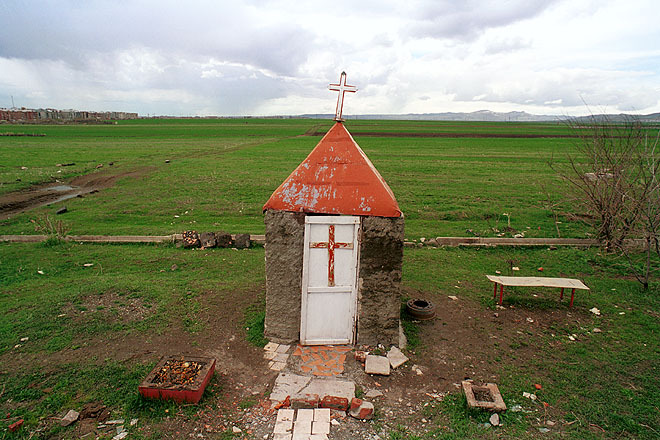 Small chapel on the outskirts of Gyumi. 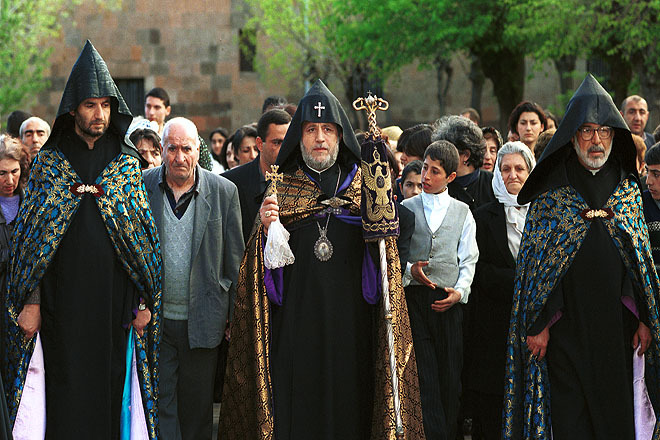 Karekin II, Catholicos of All Armenians greets believers on his arrival at the Cathedral of Echmiadzin. 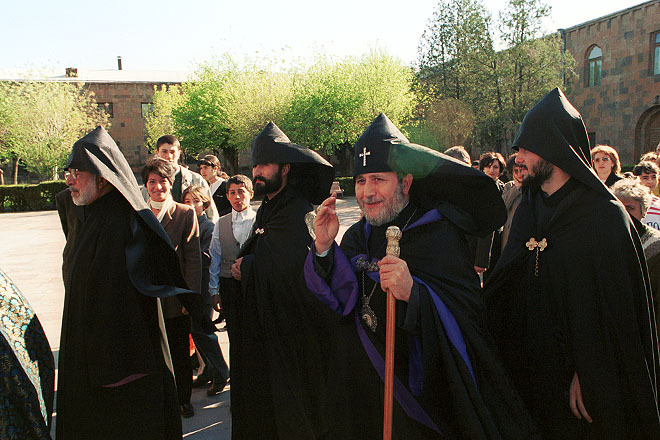 Good Friday procession at Holy Echmiadzin led by Karekin II, Catholicos of All Armenians. 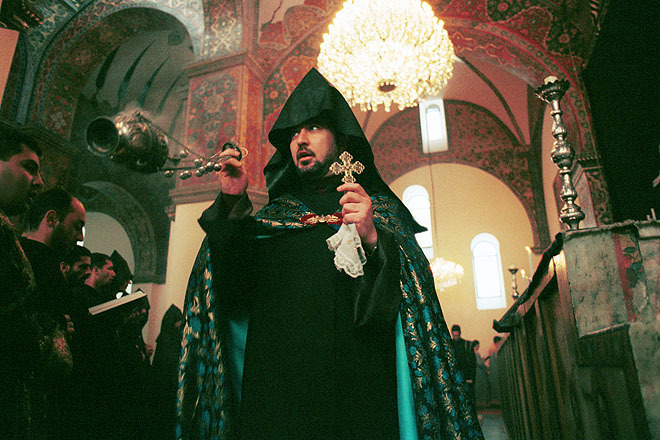 Good Friday liturgy in the Cathedral in Echmiadzin. 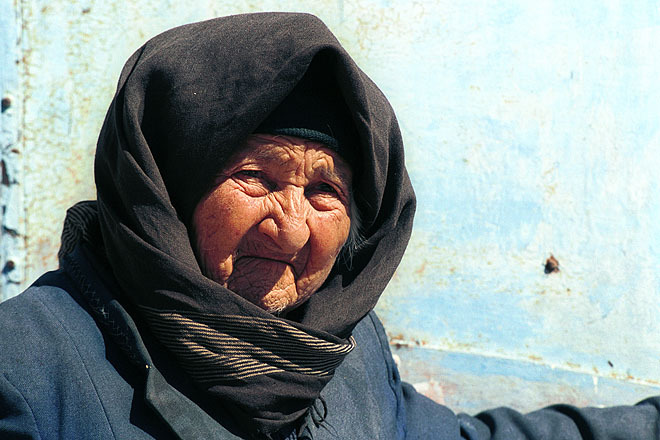 Old woman in Goris in Eastern Armenia. 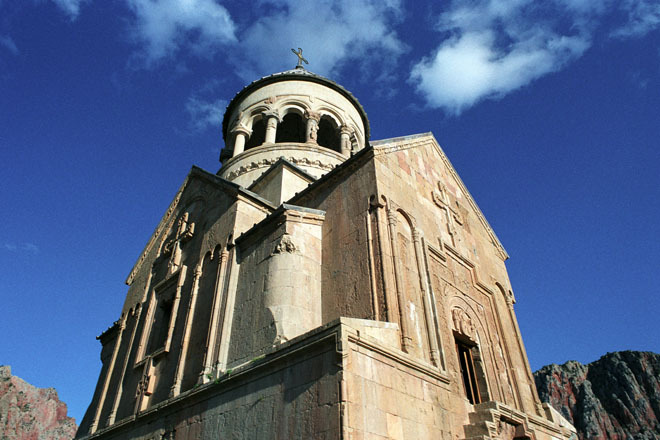 Khor Virap monastery south east of Yerevan. 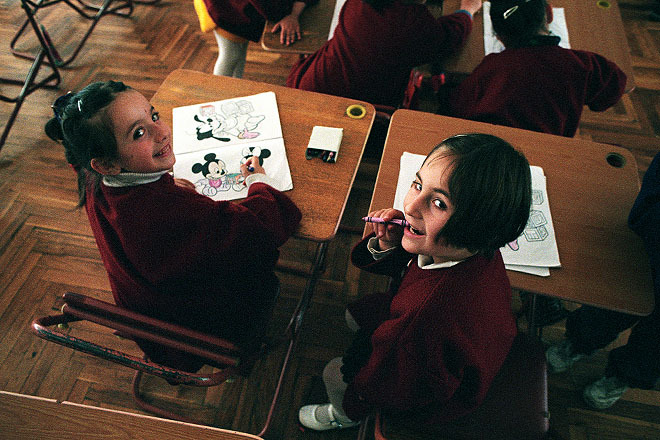 Kindergarten run by the Armenian Evangelical Church.